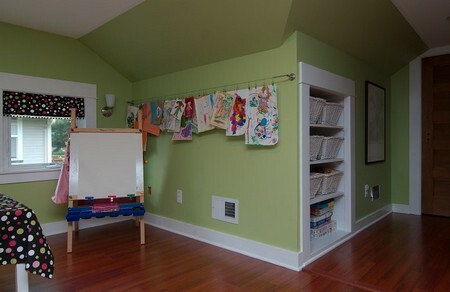 Hanging children pictures in walls add more beauty to your home than ordinary ones. It also shows your children’s creativity and love towards art. You can show their artistic sense from those pictures to your guests. If you are having long walls in your home, then you can put some pictures to make them beautiful. It is difficult to hang them when compared to ordinary pictures because they need more care to handle them. The following tips will help you to hang your children art work in your home walls. They can also help in creating happiness in the minds of people in order to avoid their tension in life and so they used to have their children art. They love to have them in all their rooms also to add beauty. They can give your home a nice feel and look. First of all, decide the perfect location for them. You need to find the best spot for it to hang on the wall. To get the answer, you must know the purpose of paintings first. You must know the real need of a hanging them in your home. You should also remind about the height of that place and it will really depend on its purpose. If it for your personal use, then you must keep it on your eye level it. If it is other purposes, you can keep it at a higher place so that you don’t need to touch it daily. You can place it near other different furniture pieces also to add it more beauty. If you place it on the wall, then it will be alone and there will be more free spaces. It will look odd if you put it like that. You can place it in any different positions until you get the correct spot which matches it. You can also ask others to help to keep them in a right place. You can get their suggestions regarding the place. They will check the beauty of the pictures if you keep in certain place. You can your curtain rods to hang your children paintings. You must decide the length from the ground to project it. There should be at least one foot distance between chosen height and hardware installation of rod. You may want to hang the paintings four feet from ground. In that case, you have to user rod’s corner clips higher than four feet from the ground. You should also remind that your children should not touch them. About the Author: Cody Riffel is a regular contributor to MegaHowTo. She likes to write on variety of topics, whatever interests her. She also likes to share what she learns over the Internet and her day-to-day life.